A crown, or cap, is a protective covering that is placed over a tooth. 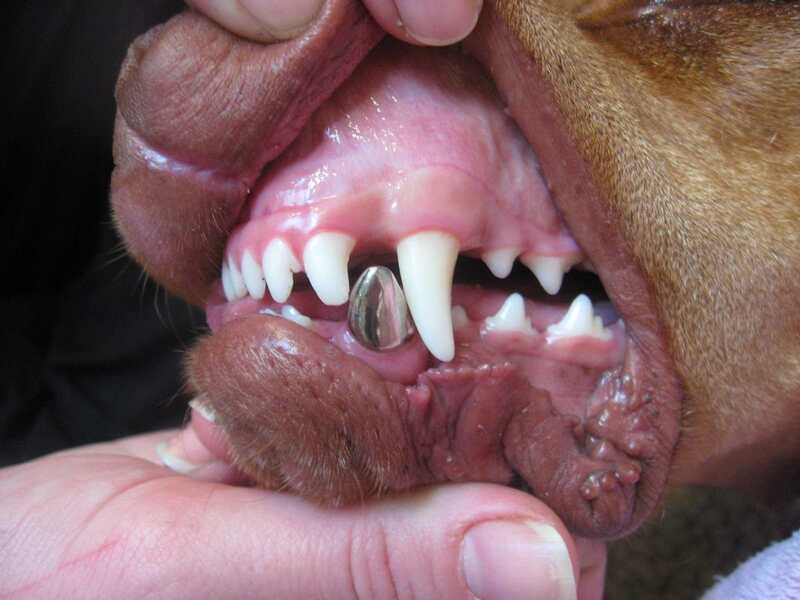 In veterinary dentistry, crowns are typically made from metal. The primary objective of the crown is to provide protection and maintain function. Most crowns are placed on fractured teeth, previously treated with root canal therapy. Other potential uses include the protection of teeth with focal enamel defects, enamel hypoplasia, or otherwise compromised teeth that could not withstand normal wear and tear. In some cases, crowns are placed on dogs that have weakened the back surface of the canine teeth through cage chewing. Potential complications following crown application include dislodgement, tooth fracture, gingivitis, plaque retention, and interference with normal bite. The majority of complications are addressed and prevented during crown preparation. Are crowns necessary in teeth that undergo root canal therapy? Appropriate root canal treatment can salvage and maintain affected teeth; however, the treatment can potentially result in a weakened tooth. Most teeth that receive root canal therapy do not generally have a crown applied. However, the decision whether to place a crown is made after careful consideration of the individual patient’s lifestyle and the pet owner’s wishes. Police working dogs and sporting dogs are considered ideal candidates for crown placement because of the increased risk for further injury. In addition, crowns are also commonly used in dogs displaying aggressive or increased chewing habits.